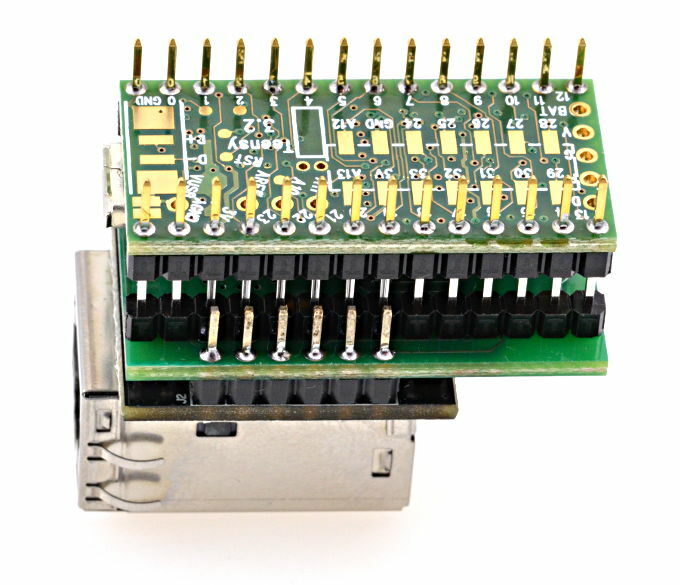 This adaptor allows you to easily use gigabytes of SD card flash memory and/or a Wiznet WIZ850io or WIZ820io ethernet module with Teensy LC, 3.0, 3.1, 3.2, 3.5 and 3.6. WIZ820io requires a reset pulse to function properly. 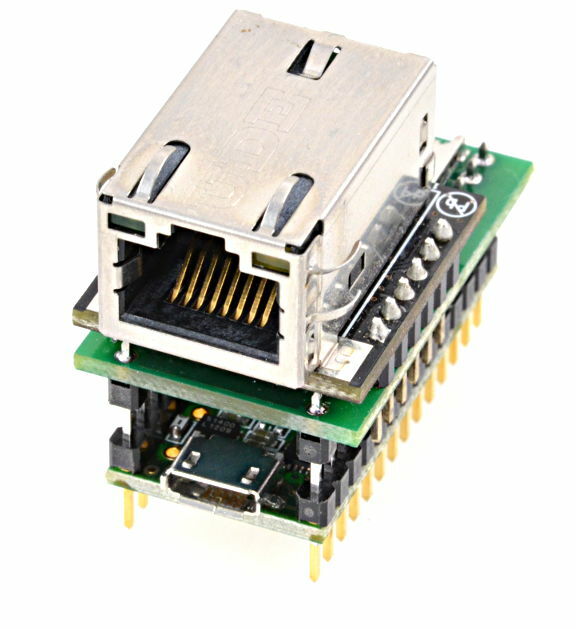 WIZ850io is more tolerant of startup without reset, but a pulse on the reset pin is absolutely required for the older WIZ820io modules. 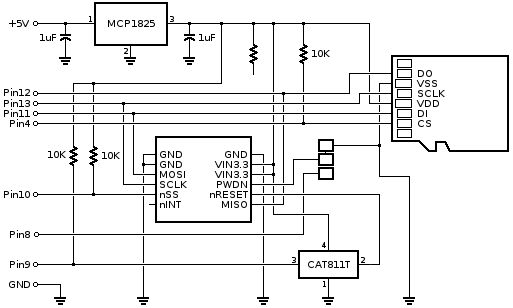 This adaptor has a CAT811T reset chip to automatically pulse reset at powerup. However, after uploading a new program, your WIZ820io may be left in a prior state depending on where your prior program stopped. 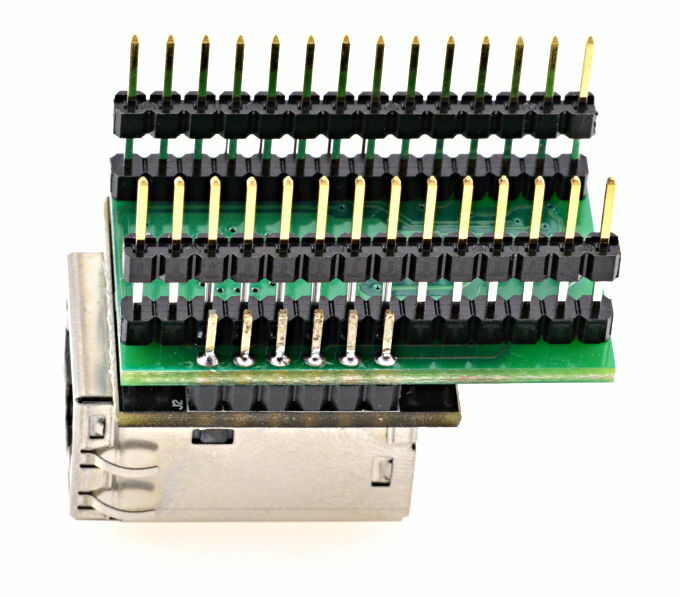 Pin 9 should be used to manually trigger the reset pulse for best compatibility with WIZ820io and W5200 chips. 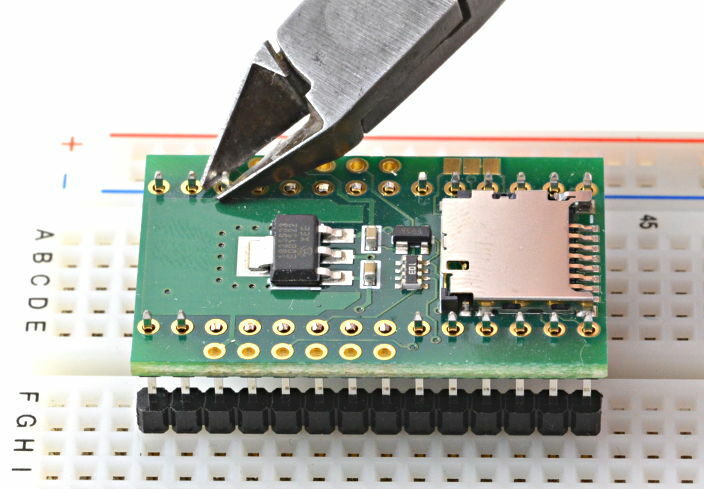 This revision adds pullup resistors on pins 4, 9 and 10, and a reset chip for the WIZ820io. These resistors keep the SD card and WIZ820io/WIZ850io from responding to other SPI communication. Some WIZ820io can disrupt SPI communication before being reset, even of their chip select pin is pulled high. The new reset chip guarantees proper reset at startup. Solder the 28 header pins to Teensy 3.x. 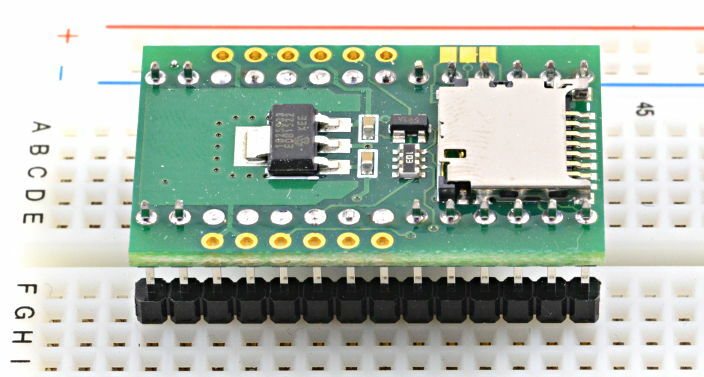 Optionally, the header pins can be placed into sockets and the sockets soldered to the Teensy 3.x.